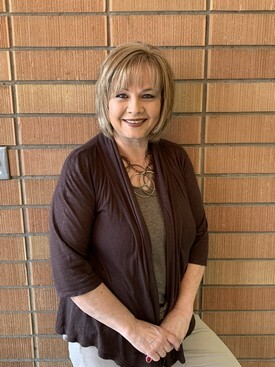 Jennie joined our team as the office manager in June of 2018. When you call our office, you will most likely hear Jennie's kind, welcoming voice. Jennie has one daughter and three sons. She also has four grandsons. In Jennie's spare time, she enjoys activities such as baking, cooking, reading, and making crafts. She enters her crafts in the craft fairs in Powell and Cody every year. Her absolute favorite thing to do is spend time with her family. 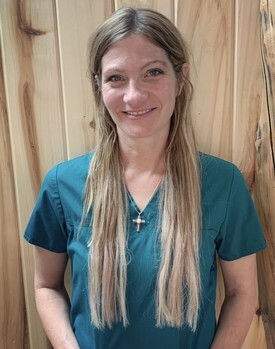 Rebecca joined our team as a registered dental hygienist in May of 2017. She graduated from Sheridan College with a bachelors degree in dental hygiene in 2005. She as actively been working as a hygienist since she graduated. Rebecca's oldest daughter is 22 years old and has graduated from the University of Wyoming. She now lives in Meeteetse, her hometown. Her middle child, and her oldest son is a sophomore at the University of Wyoming, studying architectural engineering. Her youngest son is a sophomore in high school in Meeteetse. Rebecca enjoys anything outdoors, from hunting, fishing, riding, and packing, to gardening, hiking, and running. She also enjoys drawing, knitting, crocheting, canning, and cooking. Livestock and animals have always been special to her as well. Rebecca has a mule, a dog, and chickens. 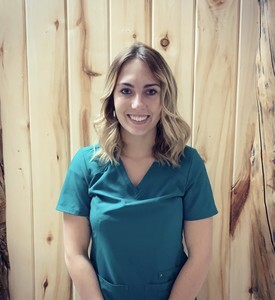 Karlie joined our team in January of 2018 as Dr. Welch's assistant. Karlie attended Northwest College in Powell, WY for two years, then she decided to take a break from school to work. Shortly after, she realized that being a dental assistant was her dream job. Her favorite parts of being a dental assistant are the social aspect and the variety of all the different procedures. In Karlie's spare time she enjoys camping, fishing, riding horses, playing volleyball, and spending time with her friends and family. She loves her fifty seven pound anatolian shepherd/ heeler mix dog. Her dog, Jax brings so much love and happiness into her life.